Superb sunshine again today, but the haze was still about. Still - a thoroughly enjoyable scramble over Sharp Edge to the summit of Blencathra. The sun rising over in the direction of Ullswater just as I'm about to start the walk. 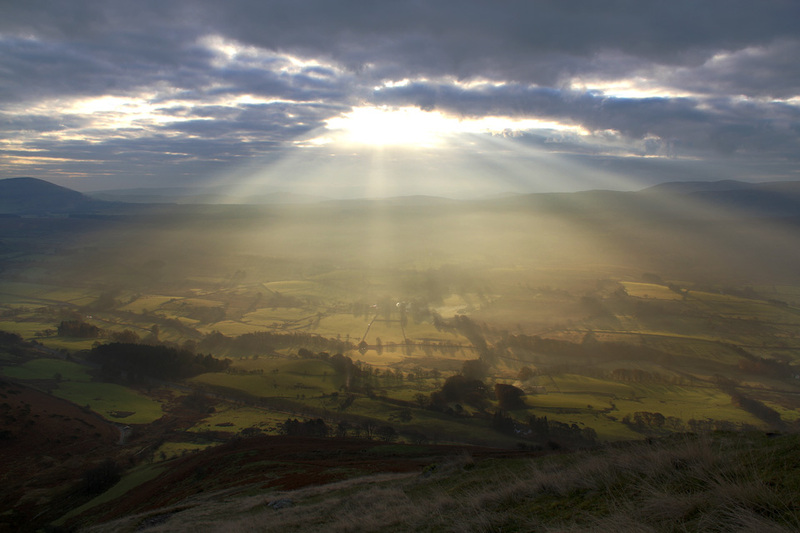 Stunning sun beams through the clouds. I had to sit here for a couple of minutes and wait for it to pass it was so beautiful. The Glenderamackin River below Blencathra and Bannerdale Crags. 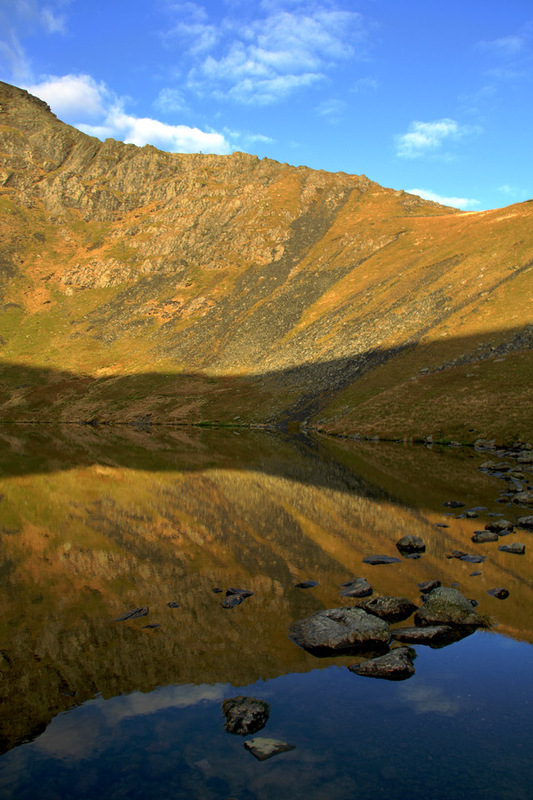 A stunning HDR image of a glass-like Scales Tarn and Sharp Edge. Bowscale Fell and the slopes of Bannerdale Crags from the very start of Sharp Edge. 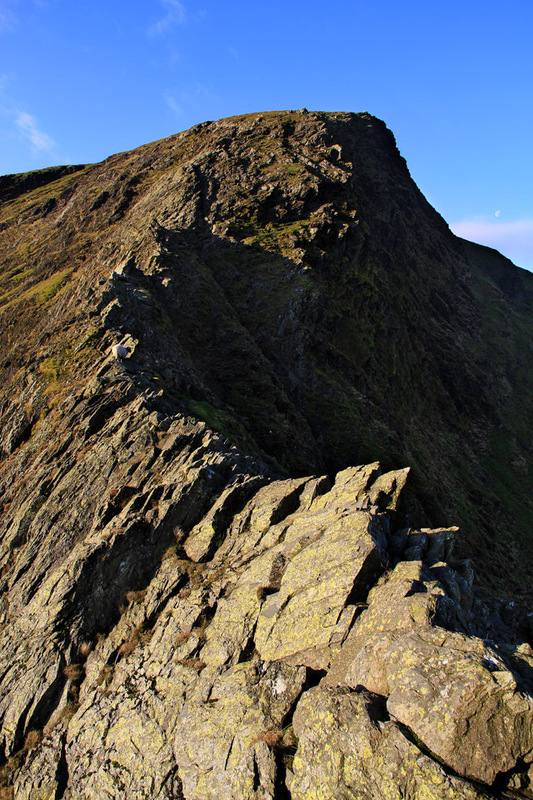 The legendary Sharp Edge. The rocks in the sun were nice and dry, but those in the shade were wet and slippery. I like the fact that she sheep are trying to cross too! Looking back down the edge. 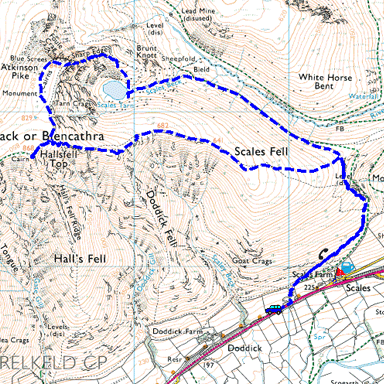 Foul Crag wasn't difficult because it was dry which made the last section leading up to Atkinson Pike quite easy. Here looking over the cairn to Bowscale Fell and Carrock Fell. I came up here to see the memorials which I had never seen before because on past walks I followed the path around the top of the crags to the summit instead of taking a detour. An empty summit of Blencathra. In fact up until this point I had only seen one other walker who was about 1/2 mile in front of me (he was doing Sharp Edge when I was taking the HDR). On the way down I saw about 5 or 6 other people then starting their ascent. Sharp Edge from Scales Fell. And the last good view of Blencathra before I headed back down to Mousthwaite Comb. You can really see why its nickname is Saddleback from here!